For some people there is only one thing better than visiting an ancient church, and that is visiting a lot of ancient churches. Why buy the religious ticket? 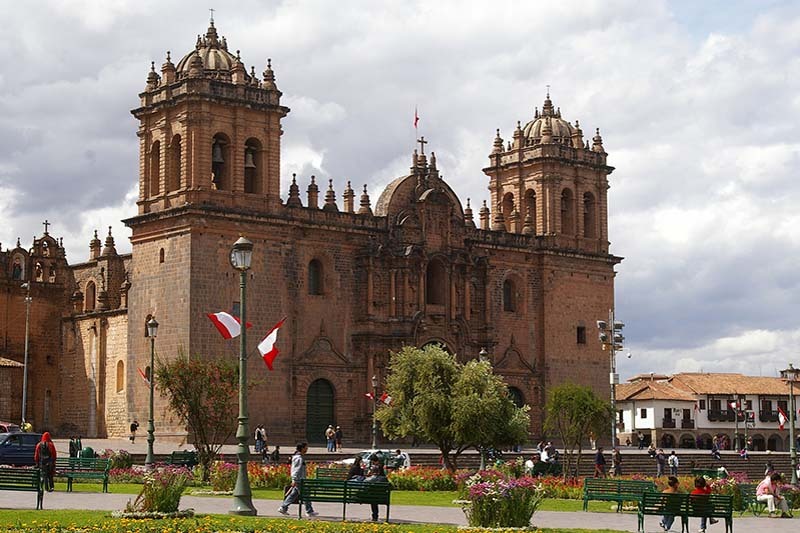 The ticket of the Religious Circuit will give you the opportunity to visit not one but 3 churches, including the Cusco Cathedral and the Museum of Religious Art. Why buy the Religious Circuit Ticket? Where to buy the Religious Circuit Ticket? Well, first of all there is a practical reason, you can visit four attractions in less than a day. Secondly, you can save a lot on income expenses by purchasing the full ticket; The expense is higher visiting and paying the entrance of each site separately. Third, these attractions can only be seen acquiring the ticket of the religious circuit, and is one of the best ways to enjoy the Historic Center of Cusco. Last but not least, this tour will give you a clear idea of the history of Catholicism in Peru, its coexistence and mixture with the Andean religion, and some wonderful examples of religious art from the Cusco school. 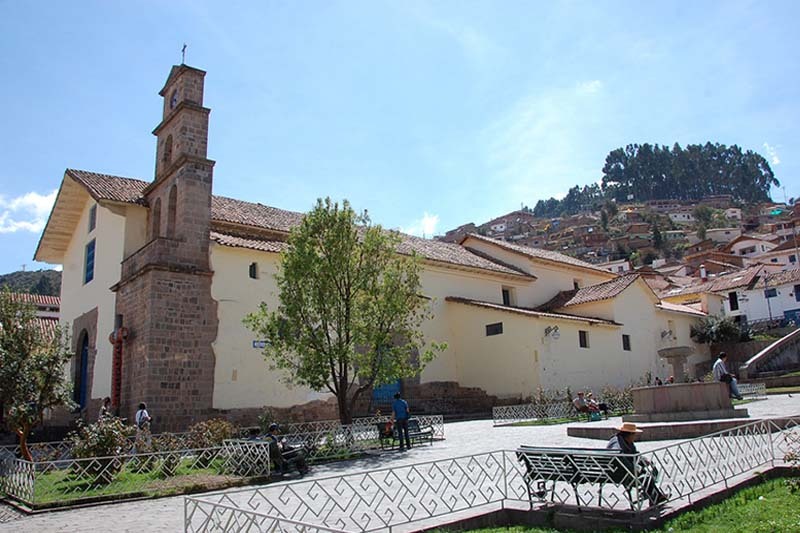 You can buy the Ticket of the Religious Circuit in the Museum of Religious Art, in the Church of San Blas, the Church of San Cristóbal or in the Cathedral of Cusco. The price for adults is S / 30 soles (US $ 10). If you want to check prices for each place separately, you can see How to buy the Cusco Religious Circuit Ticket? You can hire a guide at any of these places; If you do, be sure to set a price in advance so you avoid misunderstandings. Why hire a guide? 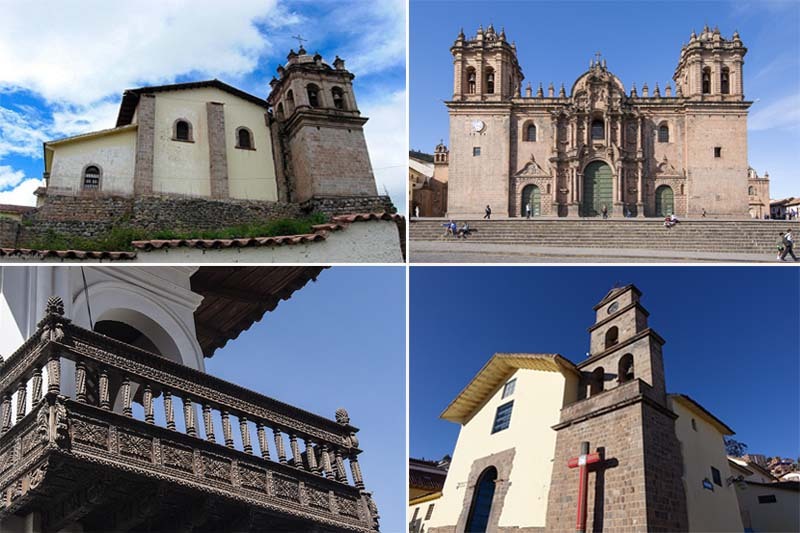 For there is a very good reason, the churches of Cusco were built by Inca workers; They added small details of their own culture in the religious constructions of Spanish culture. This same feature can be found in paintings, sculptures and so on. Remember that none of these churches is allowed to take photos, so if the people in charge see you trying to take a photo, even if only with your cell phone; Do not be surprised, as they will surely ask you to save it. 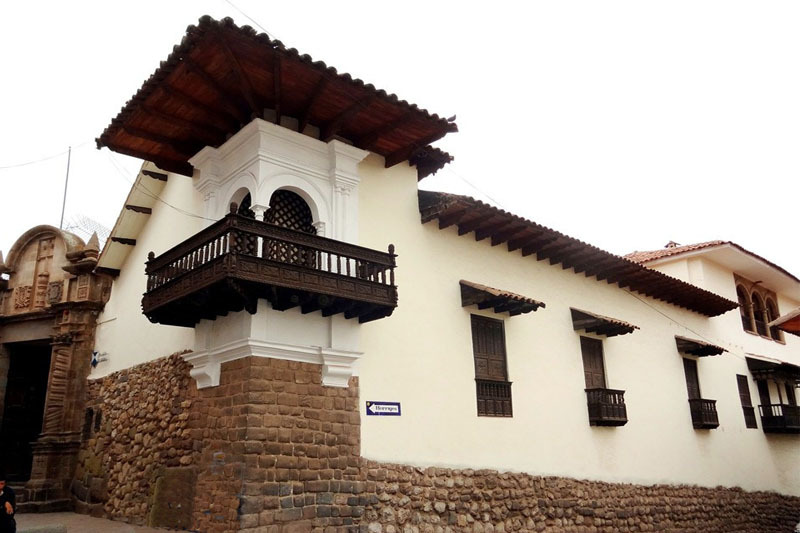 The Museum of Religious Art is located on Hatunrumiyoc Street, 2 blocks from Cusco’s Plaza de Armas. The same pedestrian street is also the place of the famous stone of the 12 angles. The museum is located in the former palace of the archbishopric of Cusco, and unless you are an art critic; In fact, you may like the building itself more than the religious art it houses. The palace has Spanish arabesque features, including a gloomy courtyard cloistered as a central fountain, with walls covered with blue and white tiles. Among the objects that he keeps, you will find important paintings of the Cusqueña school framed in golden frames (gold leaf). One thing to know, is that it was traditional among the artists of the Cusqueña School not to sign their paintings. So the information about these, you will find it in small informative posters. The neighborhood of San Blas is one of the areas with more environment in Cusco, wandering aimlessly through its narrow cobbled streets, delineated by colonial buildings, is a pleasure in itself. With the religious ticket you can also visit the Church of San Blas. To get there, simply turn right out of the Religious Art Museum, climb the San Blas hill, and you will soon be in San Blas Square, and the church will be right in front of you. The 16th Century Church was built on the site of an Inca palace, its main attraction being a pulpit made of 500-year-old cedar wood. It is believed that the surprising work of the sculptor Juan Tomás Tuyru Tupac, should have taken about 10 years; Is composed of more than 1,200 individual pieces and includes wonderful details such as seven monsters representing the capital sins, the base represents eight Protestant leaders such as Calvin and Luther. The legend tells that Tuyru Tupac promised to carve the pulpit without charge, in exchange for being cured of the leprosy; However, after being cured changed his mind, but after presenting his bill something fell from the top of the pulpit, crushed his skull and died. The church has innumerable religious paintings, the nave of the ceiling is beautifully painted; Be sure to climb to the clock tower, you will get spectacular views of Cusco and the surrounding area, including the church of San Cristobal which rises on the front hill. One of the most interesting routes to reach this church, is through Plaza Nazarenas. If you have extra time, you can visit the excellent Museum of Pre-Columbian Art. And if you really care about the churches, you can convince the porters of the “Hotel Monasterio”, to allow you to see the beautiful private chapel of the hotel. The church of San Cristobal is 10 minutes from the Plaza de Armas del Cusco; If you do not like churches. 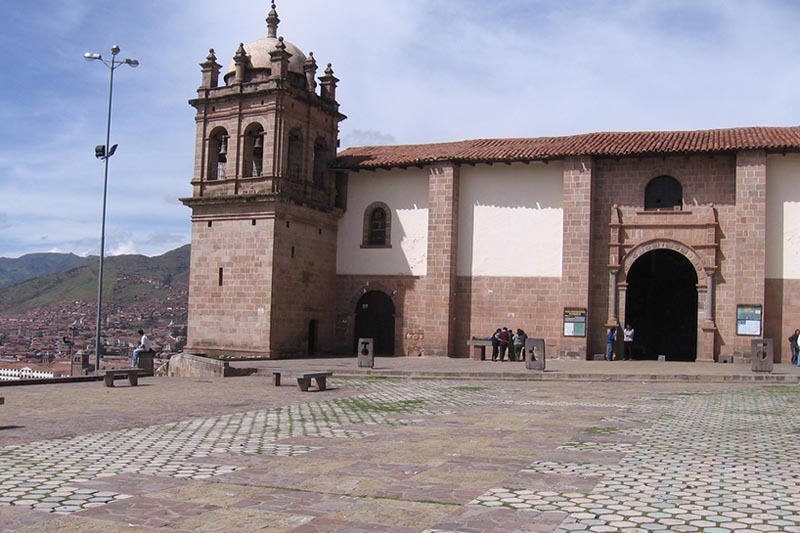 The large square next to the Church offers a magnificent viewpoint over Cusco. A clear day, will allow you to see as far as the snowy Ausangate, the highest mountain in the region. Ironically, the site was an Inca barracks; Its high altar has carved a representation of the “Pachamama”, a virgin with bare breasts; This is evidence of the relatively easy coexistence between colonial Catholicism and the Andean religion. The Cathedral is the big church in the Plaza de Armas del Cusco, it is located just in front of the “middle street”. The Cathedral of Cusco, is actually 3 different churches, united to each other, and that like most of the buildings of the historical center of Cusco, were built on a sacred place for the Incas. All exhibitions here are clearly identified in Spanish and English. This church houses the shining gold statue of John the Baptist; Also the crucifijo Lord of the Tremors (pattern of Cusco). It is said that on parading outside the Cathedral on March 31, 1650, he put an end to not less than 400 earthquakes that occurred on that same day; There is also a great painting commemorating the earthquake of that year; This shows buildings in flames, cracked, collapsed houses, And citizens of Cusco gathered in the Plaza de Armas. A wooden statue of a virgin “martyr” holds pliers (or a wrench); The statue of a martyr, carries his own head in his hands; And finally the “unorthodox” painting of the Passover meal. Church of San Blas: Every day from 8 am. At 6 pm. Church of San Cristóbal: Every day from 9 am. At 5 pm. Basilica Cathedral of Cusco: Every day from 10 am. At 6 pm.